If you have lots of time, a little dosh and can beg/borrow/steal a welder then they can be urm, whats the word, a nice little project. Look around for a sound one, and they are the best value to get you into the weird and wonderful world of all things Land Rover. Sorry, we couldn't find any Land Rover Series III listings that matched your search criteria. 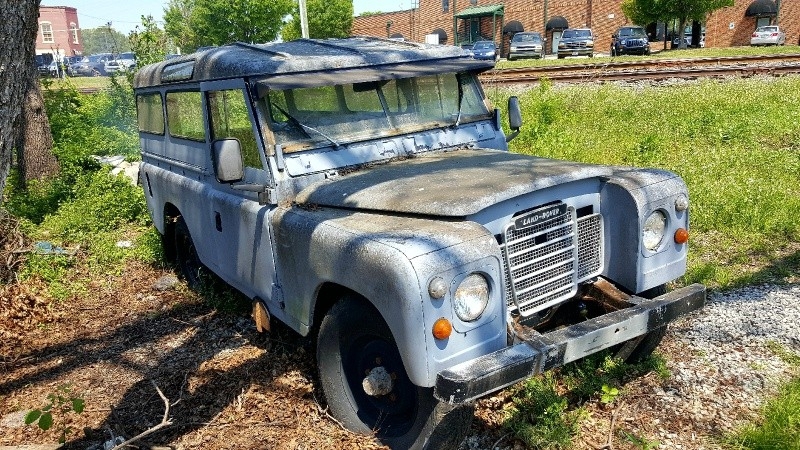 Here are Nationwide listings for a Land Rover Series III. Here are our listings for all model years of the Land Rover Series III. You might be interested in these similar years for Land Rover Series III. Avg. Dealer Rating: (21 reviews) "Very honest straight forward seller I will definitely come back here for my next vehicle this is best buying experience I’ve had ! " Avg. Dealer Rating: (36 reviews) "Prompt response, very helpful with the details of the vehicle as well with understanding on transporting out of state. Plan to make a trip in two weeks to close the deal." Avg. Dealer Rating: (11 reviews) "friendly down to earth"
Avg. Dealer Rating: (26 reviews) "Our experience went really well and quick,we talked on Monday and paid on Wednesday and my wife’s dream car was in our driveway on Friday. Thanks to all who made this possible. Hey"